Some elements of folk culture might be in the center of local culture and an import part of self-identity. For instance folk dance is highly popular in Estonia and it has evolved into a sort of a national sport. XIX Estonian Dance Celebration in 2015 that was held together with Estonian Song Festival. Folk culture refers to the unifying expressive components of everyday life as enacted by localized, tradition-bound groups. Earlier conceptualizations of folk culture focused primarily on traditions practiced by small foot, homogeneous, rural groups living in relative isolation from other groups. Today, however, folk culture is more inclusively recognized as a dynamic representation of both modern and rural constituents. Historically, handed down through oral tradition and now increasingly through dynamic computer-mediated communication, it relates to the cultivation of community and group identity. Folk culture is quite often imbued with a sense of place. If elements of a folk culture are copied by, or moved to, a foreign locale, they will still carry strong connotations of their original place of creation. The above-mentioned have entered mainstream consciousness to varying degrees, but none have been so distorted from their original form as to have lost their culturally specific sense of place. In contrast, blue jeans and McDonald's are cultural icons which have been made so internationalized they have lost their original sense of place, and they are no longer part of folk culture. Similarly, Federalist architecture was created in the United States, but in a style influenced by, and meant to appeal to, outside interests. 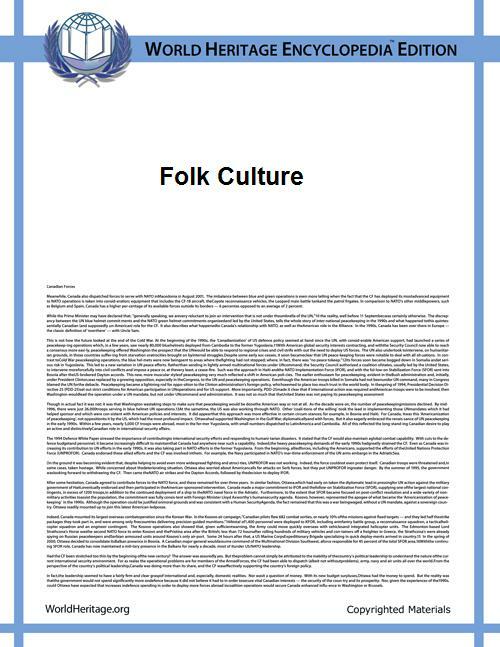 Folk culture has always informed pop culture and even high culture. 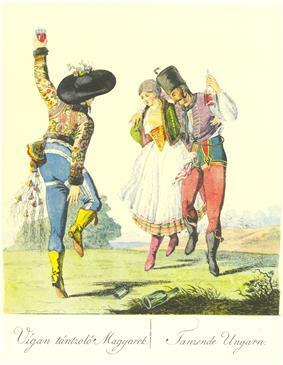 The minuet dance of European court society was based on the dance of peasants. More recently, the archetypal costume of the cowboy has been reinvented in gleaming silver by disco dancers and strippers, and the consciously ascetic culture of the Amish has been portrayed for comic value in Hollywood films and reality shows. It is the emphasis on looking inward without reference to the outside that separates folk culture from pop culture. ^ Blank, Trevor J. (2013). The Last Laugh: Folk Humor, Celebrity Culture, and Mass-Mediated Disasters in the Digital Age. Madison, WI: University of Wisconsin Press. pp. xiv. ^ Rubenstein, James (2011). Thecock Cultural Landscape. Upper Saddle River, NJ: Pearson Education, Inc. p. 510. ^ Kaplan, Merrill (2013). Blank, Trevor J., and Robert Glenn Howard, eds., ed. "Tradition in the Twenty-First Century: Locating the Role of the Past in the Present". Logan, UT: Utah State University Press. pp. 123–148.